Preheat oven to 400°F. Line a nonstick baking sheet (9x13-inches) with nonstick aluminum foil. Open and unroll the pizza dough. Spread out in the pan, stretching to fit. Spread the chili out on the pizza crust, leaving a small border at the edge. Sprinkle the cheddar cheese all over. 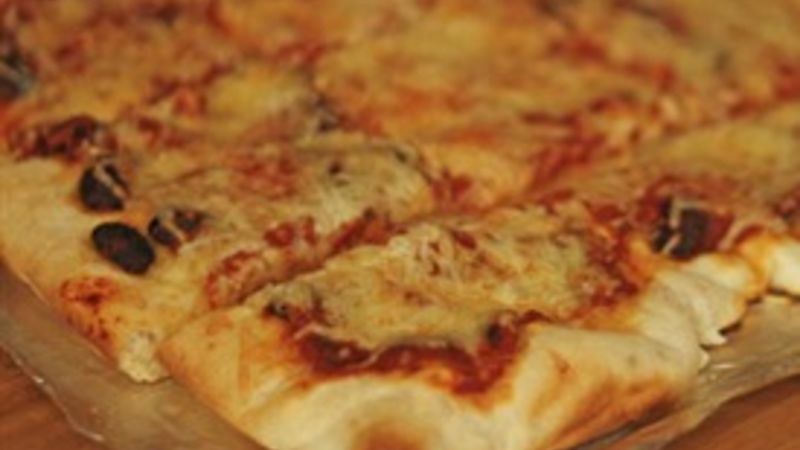 Bake the pizza for 15-17 minutes, until the cheese is melted and the crust is golden brown. Remove the pizza from the oven and let cool for five minutes before slicing into 12 pieces.